1 Terry: So how do we break into a lab where nuclear material is being held? 2 Simon: Ha ha! It's a university lab! We just wander in. 3 Terry: Bluff our way in? Won't we need to carry some books or look important and self-confident? 4 Simon: It's a physics lab. The less important you look and the less like you know what you're doing, the more you'll blend in! 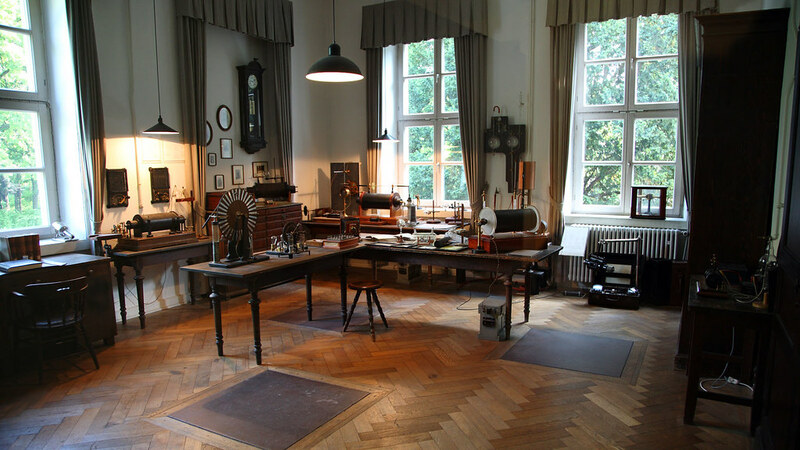 One time I was visiting Würzburg in Germany, and looking for things to do I discovered that Wilhelm Röntgen, the guy who discovered x-rays, was the chair of physics at the University of Würzburg, and his lab was still there, converted into a museum. When we left, we turned the lights off again. It was kind of weird that this incredibly historical and significant place seemed to have no security whatsoever. But also kind of cool. Which is where my mother's family is from.